Premiumtraveltips.com – Krabi is the island located almost 185 km from Phuket, one of the most attractive place we can visit in the south of Thailand. 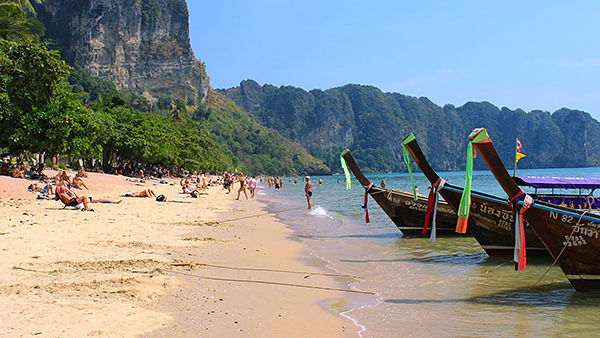 Krabi is the gate for one of the best beach place that can be visited on this Earth. 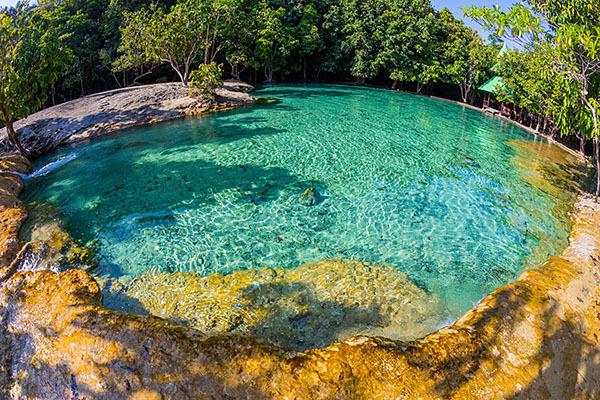 Krabi offer so many things that have their own unique character such as the white sand beach, Coral sea adventure and so many big and small island with the wild forest with cave and also the waterfall. This Ao Nang beach is the center of Krabi attraction. This beach is locate only 15 km from Krabi town. This beach can be so popular because they have the best sand for the tourist that like to getting tan and relax in the side of beach. Also in here can find so many restaurant , hotel and also pub. The Ao Nang beach also is the gate for in and out to having an adventure to other island around Krabi. Four popular island that we can visit when in Krabi is Chicken Island, Poda Island, Tub Island and Pranang Cave Beach that have their own unique that can attract people to come in there. Koh Phi Phi is the beautiful island that having a lot of water sport activity inside. Koh Phi Phi is the collective name for the small island in Krabi province that take almost 45 minutes to be there by using Speed Boat from Krabi. 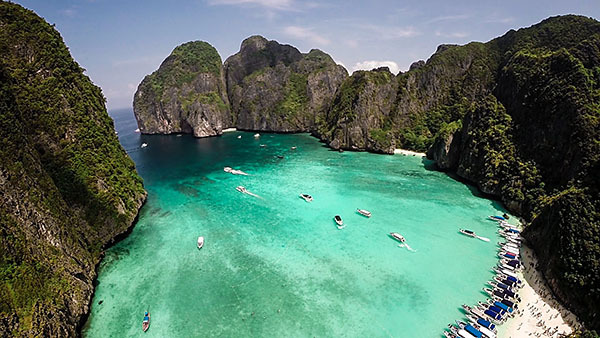 It is know as the Diamond of Andaman , there were 6 island in Mu Koh Phi Phi Nopparathara National Park which is Phi Phi Don, Phi Phi Ley, Bamboo Island, Yung Island, Bida Nok and Bida Nai. For now only Phi Phi don is isolate from human, the rest is already use but under protected as their National park that can be visit by the tourist. The best time go in here is in the November to April when the weather is warmer and the rarely have the rain. Hot Spring And Emerald Lagoon. This is one of the best place to relax your mind and soul from the hectic we get on our daily activities. The warm baths that naturally make by the Tropical rain forest with have so many mineral inside with the temperature around 38-42 can be the choice for having the best relaxing time. And for Emerald Dragon itself is the swimming pool that having a clear and cool water. Such a combination !